Asking the right questions early in the vetting process is essential for selecting the solution that can best meet your business goals and IT requirements. Comprehensive UC solutions can pay for themselves quickly- as long as they are easy to use. 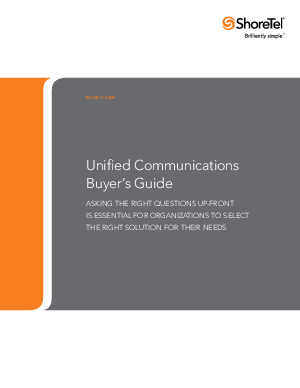 Because what can seem at first glance to be simple and straightforward can in fact turn out to be complex and labor-intensive, the guide includes a section dedicated to the importance of having an in-person demo before investing in any UC solution. This is the only way to gain first-hand understanding of the solution's functionality, its ease of deployment and management, and its overall ease of use. Answering such key questions can help ensure that you select the right solution for your business and avoid issues later.